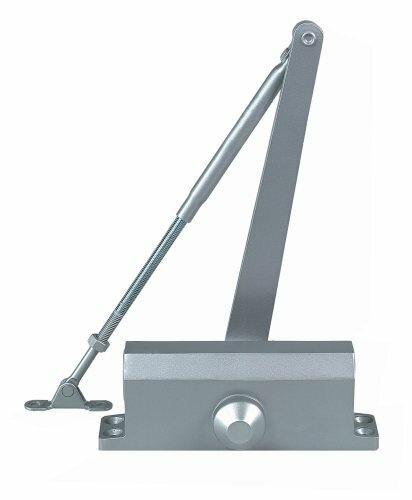 Global's TC302 Light Commercial Door Closer is a great alternative for use on interior and light weight exterior door applications. Its compact design has the features and appearance of a full size closer but requires less space on a door for installation, and provides complete funtionality for any opening. It is commonly used on projects that specify multiple interior closers to address job conditions and budget concerns. They are excellent choice for hotels, condominiums, apartment complex and single family residences. Level 2 Spring Tension rating. Aluminum alloy shell with aluminum finish. Parrallel arm included. Maximum door size 32-Inch interior. Maximum door weight 137-Pounds.Aluminum Alloy ShellGrade 3 certified, ANSI/BHMA A156.4Non-HandedTwo independent regulating valves control sweep and latch speeds.Spring Tension 2. Two independent regulating valves control sweep and latch speeds. If you have any questions about this product by Global Door Controls, contact us by completing and submitting the form below. If you are looking for a specif part number, please include it with your message.